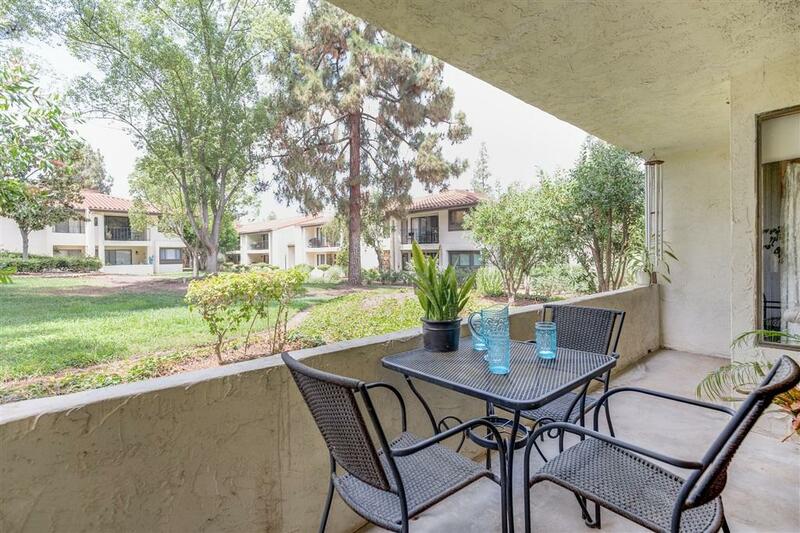 Gorgeous single level unit in the Oaks North complex. You will love this upgraded gem, complete with hardwood & tile floors, fresh white kitchen cabinets, designer inspired paint, ceiling fans and modern light fixtures, laundry in unit, large private patio with stunning greenbelt views, over sized garage. Community includes a gym, pool and Jacuzzi, tennis courts, art room, pottery room, wood shop, lawn bowling, pool tables, library, auditorium and so much more. Also walk or take cart to golf course.